Lynne C. Nowick was elected to the Smithtown Town Council January 1, 2014. Councilwoman Nowick is a life-long resident of St. James and has been a Suffolk County Legislator for the past 12 years. She was re-elected for another two-year term in November of 2011, which will be her last term due to a term limit of serving on the legislature for 12 consecutive years. Prior to being elected to the Legislature, Lynne was the Tax Receiver for the Town of Smithtown for six years, and before that she worked in the county court system. 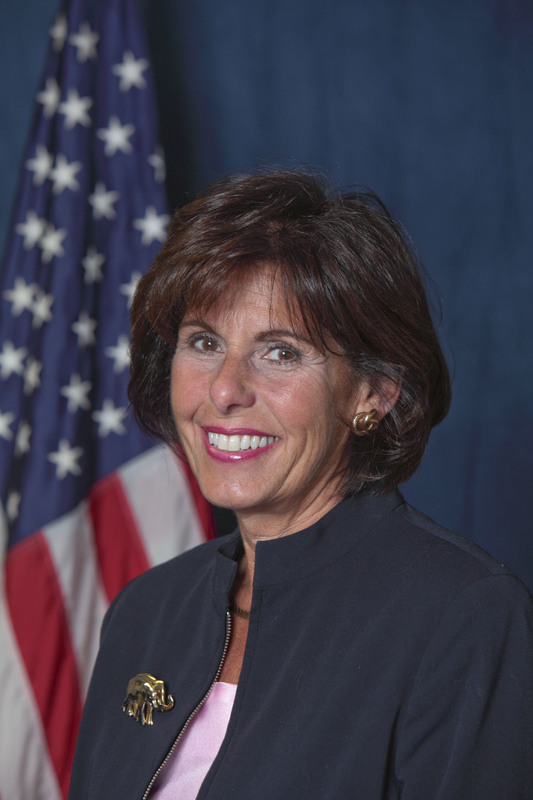 As a Legislator, Lynne Nowick has chaired the Parks, Recreation & Cultural Affairs Committee for four years and previously chaired the Labor & Workforce Housing Committee, Economic Development & Higher Education and the Consumer Protection Committee. This year, she chairs the Parks, Recreation & Cultural Affairs Committee and sits on the Ways & Means and the Economic Development & Energy Committees, as well as the Presiding Officers’ Budget Working Group. During her tenure as a legislature, Ms. Nowick has continued her fight to save taxpayers money while providing responsive, efficient government services. In addition, Legislator Nowick is working to preserve open space and farmland within her Legislative District and has teamed with local towns to achieve these goals. She is pleased to have been able to preserve pristine property on the Nissequogue River, in Head of the Harbor and the historic Thomas Helme Mills house, which sits on more than two acres in St. James. In conjunction with the Town of Huntington, Suffolk County was able to acquire the development rights to Richter’s Orchard in Fort Salonga so that the property will be preserved as an orchard and community landmark. There are also several parcels in Kings Park that she has been fortunate to preserve. Lynne Nowick has been passionate about promoting downtown revitalization. She secured funding for sewer studies in the town of Smithtown, which will benefit our downtown business districts. For several years, she has sponsored the Family Summer Concert Series, renamed in 2011 the Dennis Cannataro Family Summer Concert Series after her late brother, who initiated the idea of the concerts and brought them to fruition with the Friends of the Smithtown Library. These shows have been enjoyed by thousands of. Long Islanders, many who patronize the restaurants and shops in downtown Smithtown. Her commitment to protecting the youth of this county prompted her to introduce legislation in 2007 to ban the sale of cough and cold medicines containing dextromethorphan (DXM) to anyone under 19 years of age. This legislation was the first of its kind in the nation. In 2008, she sponsored another law aimed at prohibiting the sale and possession of Salvia Divinorium by youngsters under the age of 19. During 2010 and 2011, she worked with members of The American Beverage Association to include warning labels on most energy drinks sold in the United States and in Canada that state: “Not intended for children, pregnant or nursing women and people sensitive to caffeine.” The total amount of caffeine from all ingredients must also be listed on the label. Throughout the years Lynne Nowick has been working with area hospitals, drug prevention/education groups, schools and towns to provide residents with a “Take Back Unwanted Medications” program, where unneeded or expired drugs can be disposed of properly. In 2012, in conjunction with officials from the Town of Smithtown and drug prevention and treatment organizations, as well as the Greater Smithtown Chamber of Commerce, they implemented the first municipal medication disposal program. Also last year, she sponsored legislation that designated April as Medication Take Back Month in Suffolk County. Ms. Nowick has been fortunate to be recognized during her tenure by various publications and organizations such as Long Island Business News’ “Top 50 Women,” the Woman of the Year by the Marty Lyons Foundation. the Times of Smithtown Government Leader, the Smithtown School District Alumni Association Hall of Fame, the Kings Park Chamber of Commerce “Person of the Year in Government,” the March of Dimes’ Woman of Distinction,” Response of Suffolk County, the Suffolk County Police Columbia Association, the Fort Salonga Civic Association, Kings Park in the kNOw, and several others. An honorary member of the Smithtown Rotary Club and the Greater Smithtown Chamber of Commerce, Legislator Nowick is also on the Honorary Board of the Suffolk County Coalition Against Domestic Violence.